This restaurant calls itself a “French Teppanyaki” restaurant so I was rather intrigued to find out what that meant. Ahill has a branch in nishi-azabu but I visited the one at the Velvia building in Ginza a few days ago for lunch with some friends. 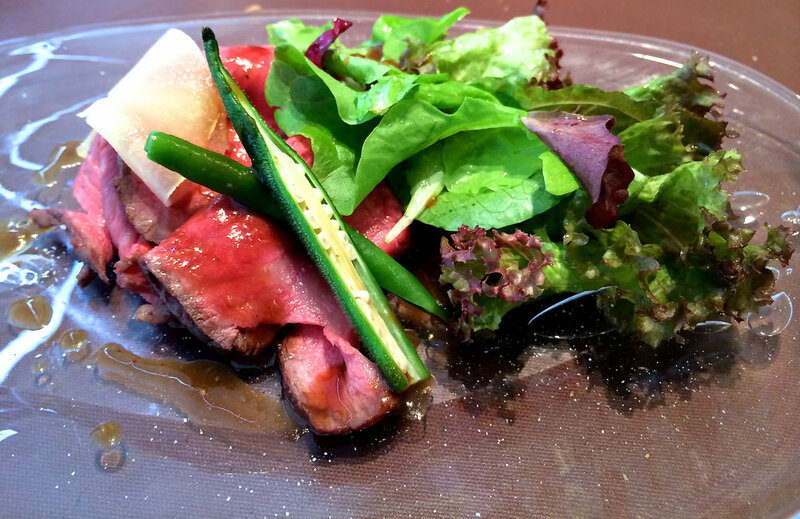 It was a small and cozy restaurant on the 8th floor with a very reasonable lunch set menu of 2000 or 3500 yen. 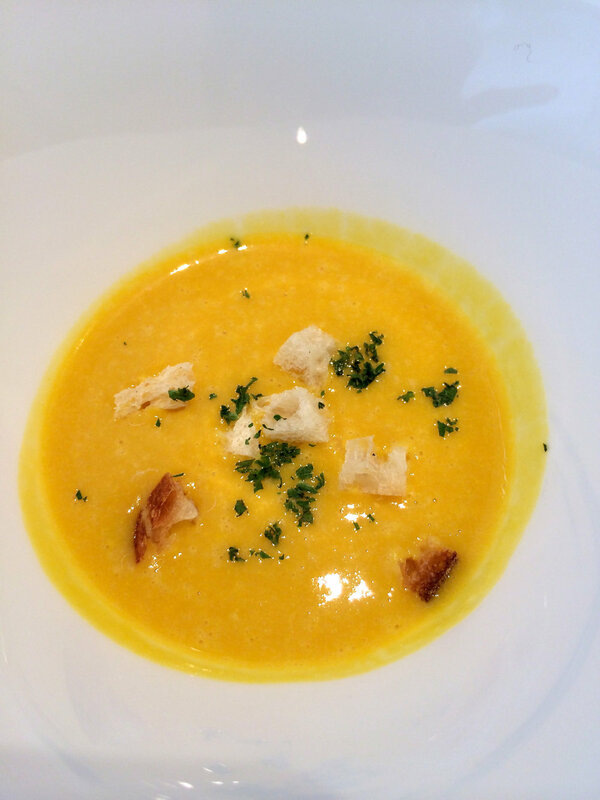 Then came a soothing warm pumpkin potage. 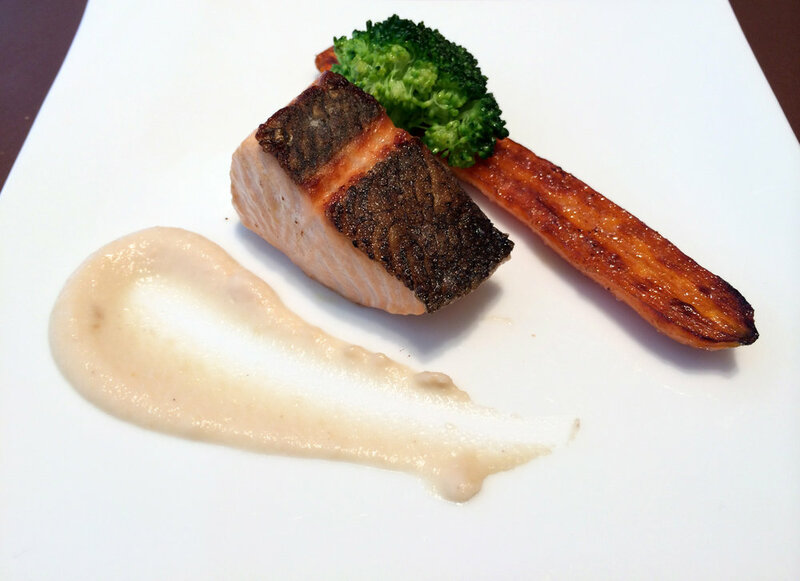 If you order the 3500 yen set you will get an extra plate of today’s fish. Salmon. The fish of the day. 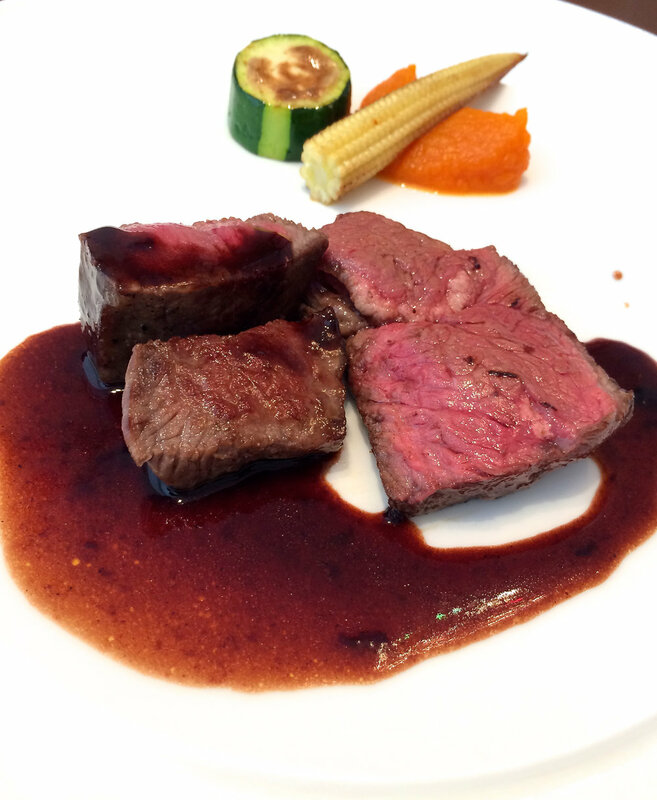 There are also three choices of the main course which is rump steak, hamburger or sautéed pork. What comes next is a definite must try. Their fried curry rice. 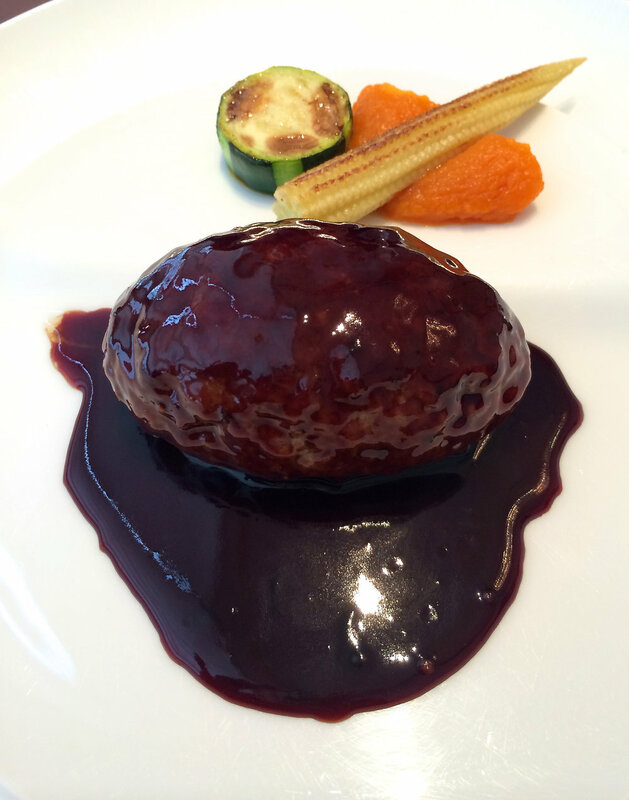 The 2000 yen menu doesn’t have this in it, but you can order extra for 500 yen. Definitely worth it!. 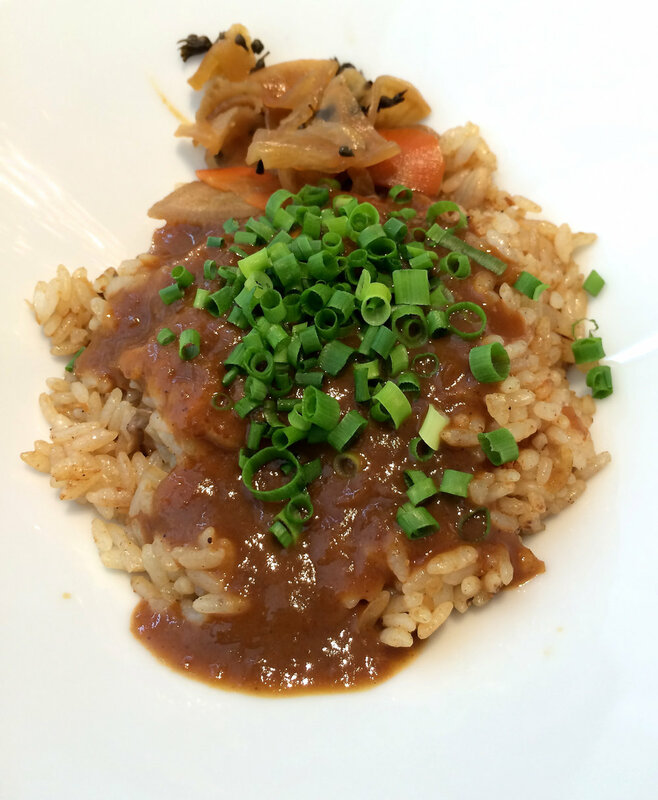 It was one of the best curry rice I’ve tried. The creme brule is also a definite must try. I loved how thin it was so you can really taste the burnt crust. And there is also a choice of apple mousse dessert. So this is what you call French-Teppanyaki. I loved my meal. It was delicious for its reasonable price. I especially loved the curry rice and creme brule. I think I might come back.